The “Difference” between the Canadian Lynx and Bobcat | Great Cats of the "World"
The bobcat and lynx. The former is a medium-sized cat with long, tufted ears and a short, bobbed tail, while the latter is, well, a medium-sized cat with long, tufted ears and a short, bobbed tail. Yet they got slapped with different names and assigned to different species. So what gives? Believe it or not, there’s a method to the madness. While bobcats and lynxes are separate species, they do belong to the same genus, which, coincidentally, happens to be the Lynx genus. There are four different species belonging to this group — three of which share the family name: the Eurasian lynx, the Spanish (or Iberian) lynx and the Canadian lynx. 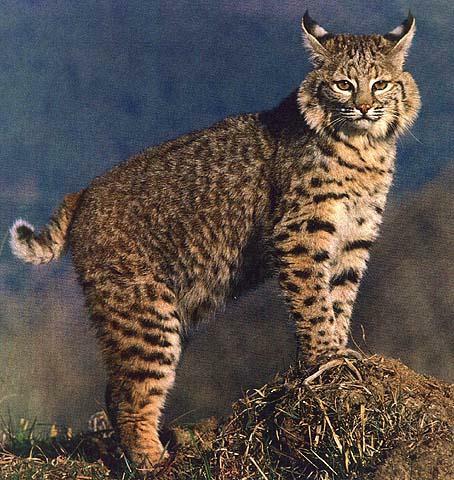 The fourth member, the most common cat native to North America, is the previously mentioned bobcat. The Lynx genus, with its four species, has the largest range out of all the cats. The Eurasian lynx (the most numerous and widespread of the four species) can be found throughout Western Europe and Northern Asia, while the Spanish lynx (the rarest of the four) is found only in Spain and Portugal. The Canadian lynx lives primarily in Canada and a handful of northern U.S. states including Maine, Minnesota, Montana, Wyoming and Washington. While the three species bearing the family name have the bobcat outnumbered in terms of global spread, the bobcat dominates the continent of North America. 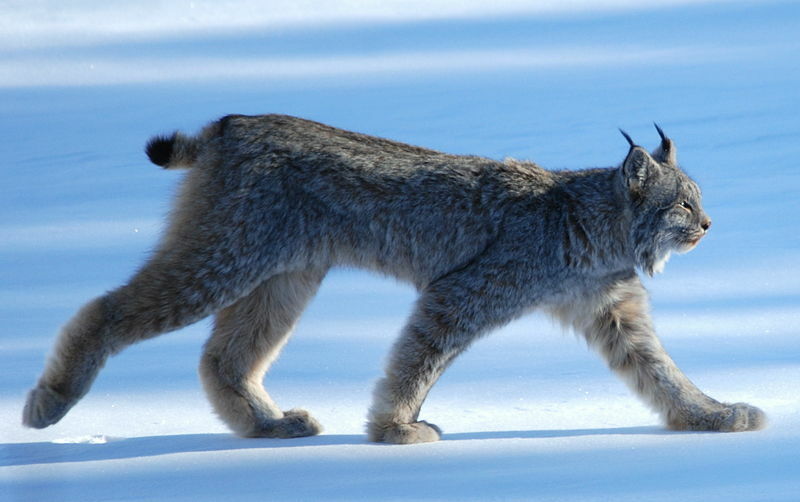 That’s because the lynx prefers forested areas since that’s where its main source of food, the snowshoe hare, lives. The bobcat tolerates a more varied habitat — from marshes and swampy areas in the southern part of the continent, to desert and scrub in the western regions to mountainous, forested areas in the north. The only area where the Canadian lynx and bobcat coexist is along the U.S.-Canada border. Geography isn’t the only difference between bobcats and lynxes. Learn how to tell them apart by taking a quick glance at their ears, coat, feet and tails. Since even the three species of lynx vary somewhat in regards to size and appearance, it can be difficult to make any wide generalizations about differences among them and bobcats. For instance, a subspecies of Eurasian lynx (called the Siberian lynx) can weigh up to 84 pounds (38 kilograms) — much more than the average lynx weight of 18 to 60 pounds (8 to 27 kilograms)]. Nevertheless, differences do exist. ­It’s a good thing bobcats don’t have the same attraction to snowshoe hares, since their smaller paws wouldn’t fare as well in the snow. Their coats, too, are shorter with more spots than those of lynxes and range from light gray to the more common brown. Lynxes, with the exception of the spotted Spanish lynx, lack much of a pattern on their long, thick, mostly gray fur. Of course, an article on bobcats wouldn’t be complete without mentioning their short, rounded tails that appear to be cut, or “bobbed.” While both cats have the characteristic haircut-gone-awry type of tail, the bobcat’s is banded with black stripes. It’s also black at the top of the tip and white at the bottom, while the lynx’s tail lacks banding and is completely black at the tip. A final way to spot the difference between bobcats and lynxes deals with behavior. Although both species (barring the larger Spanish lynx) are roughly the same size, bobcats seem to have more of an attitude. They’ve even earned themselves the nickname “spitfires of the Animal Kingdom” because of their fierce hunting style and bold behavior. There are Lynx in Alaska too. I’m not sure if they’re the Canadian or Siberian type(or some kind of cross) They are quite large here. Otherwise, great article! Thank you. Oh there are several species of lynx I however was specifying The (Canadian Lynx and Canadian Bobcat) Thank you! Great article since especially since we’ve had one around our property this winter! It’s usually cruising around at the end of our road, but yesterday morning as I was getting into my truck to go to work, there he was under the bird feeder! We stared at each other for a few seconds before he ambled off into the woods! Wish I had my camera on hand! We have wolves around too and I am wondering if they normally share hunting territory? This lynx didn’t seem too alarmed when he saw me, I thought they were shy creatures! Anyhow, great article, thanks for sharing the info! I live in Oregon, and I am certain that I saw a lynx in my backyard. It was in pursuit of a rabbit. It stopped 6 feet away from me and we looked at each other and both ran opposite directions. Everyone says there are no lynx in Oregon, but from the photos you have it looked like the lynx with a summer coat, not quite so long.